Originally published in 1949, An Introduction to Legal Reasoning is widely acknowledged as a classic text. 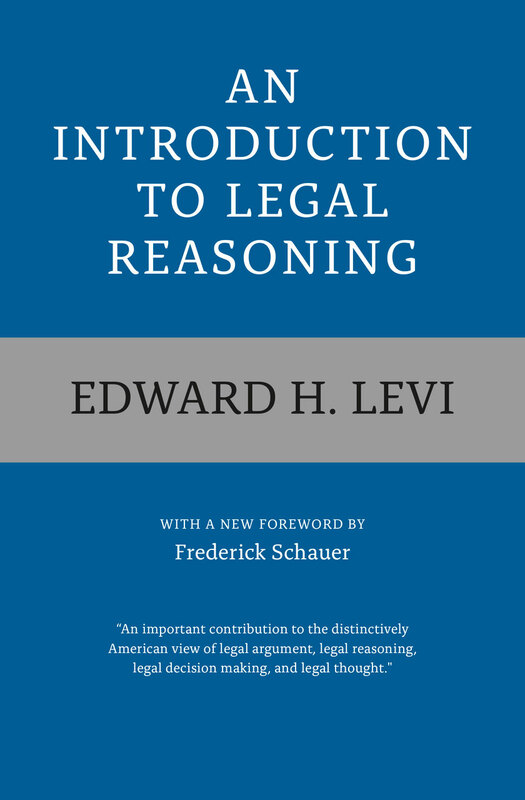 As its opening sentence states, “This is an attempt to describe generally the process of legal reasoning in the field of case law and in the interpretation of statutes and of the Constitution.” In elegant and lucid prose, Edward H. Levi does just that in a concise manner, providing an intellectual foundation for generations of students as well as general readers. For this edition, the book includes a substantial new foreword by leading contemporary legal scholar Frederick Schauer that helpfully places this foundational book into its historical and legal contexts, explaining its continuing value and relevance to understanding the role of analogical reasoning in the law. This volume will continue to be of great value to students of logic, ethics, and political philosophy, as well as to members of the legal profession and everyone concerned with problems of government and jurisprudence. Judge Charles E. Wyzanski, Jr.
"A splendid job, one which soreley needed doing."